The Washington Post reports that Trump revealed classified info to the Russian foreign minister and Russian ambassador during their visit to the White House last week. Another day, another Trump debacle concerning the president’s murky associations with Russia. The latest: according to the Washington Post, President Donald Trump shared classified national security “code word” information to the Russian foreign minister and ambassador in a White House meeting last week. Code word information refers to one of the highest levels of classification that America’s spy agencies use. 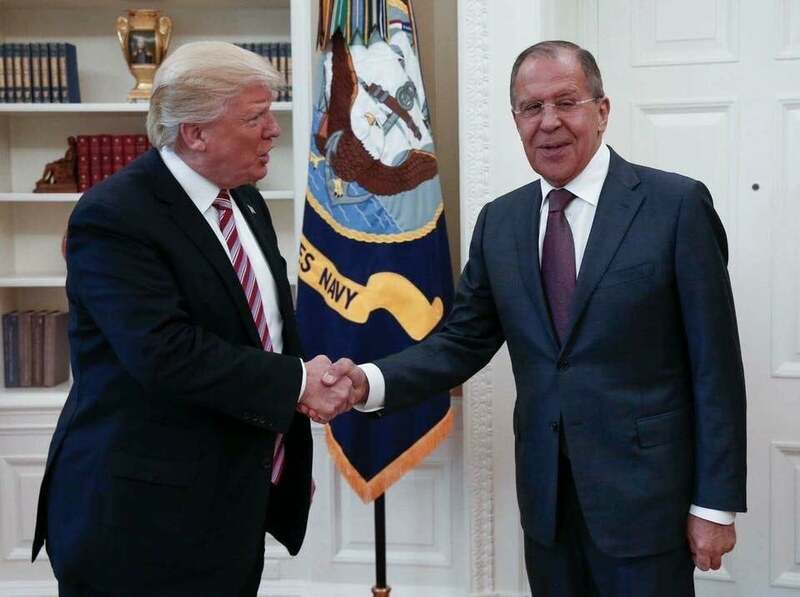 Russian Foreign Minister Sergey Lavrov and Russian ambassador to the US Sergey Kislyak visited Trump at the White House in a prescheduled meeting last week amidst the ineptly rolled-out firing of former FBI director James Comey. Trump was accused, among other things in the report, of revealing more classified “ information to the Russian ambassador than we have shared with our allies,” a U.S. official familiar with the situation told the Post. His error, which was done while trying to boast to Lavrov about the strength of U.S. intelligence, also jeopardized a critical source of intelligence on the Islamic State, officials said. The beleaguered White House, which scrambled with an appropriate response to report, sent H.R. McMaster, Trump’s national security adviser to refute the report to White House reporters. We’ll see how the White House continues to respond to this blockbuster story.